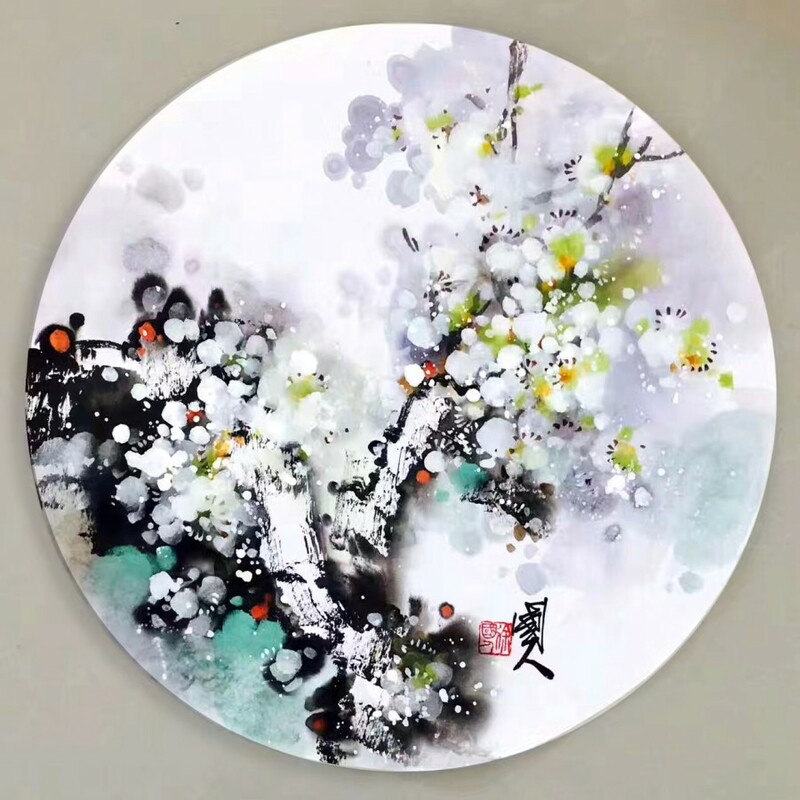 Overview：Contemporary art, traditional Chinese painting (2*) , size 43x43cm (round). 1* Xu Guoren was born in 1951, taught painting for more than 30 years in art academy. He is the members of Chinese Federation of Literary and Art Exchange Center, members of the China Public Relations Association, members of Hebei Watercolor Research Association, Vice President of Beijing Xinyandu Art Institute, art consultant of Chinese Artists Magazine, member of Sino-American Cultural and Art Exchange Association. 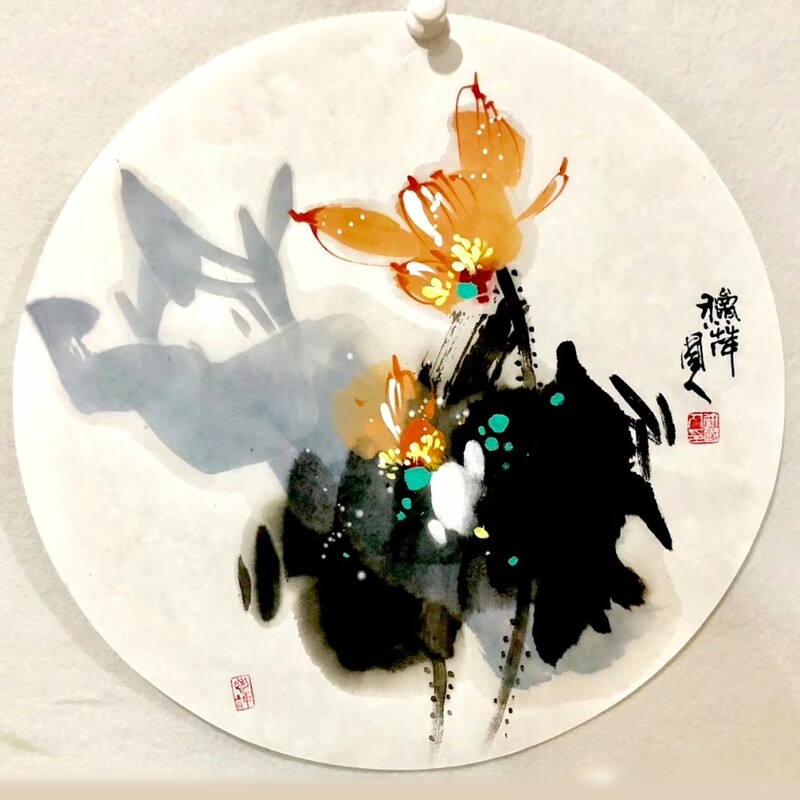 His works have been recognized with numerous award-winning in the national art exhibition, and have been collected by private collectors of Taiwan and Museum of Art collection of Hongkong. In 2012, Bertrand Delanoë who was Mayor of Paris collected his work in the art exchange activities. 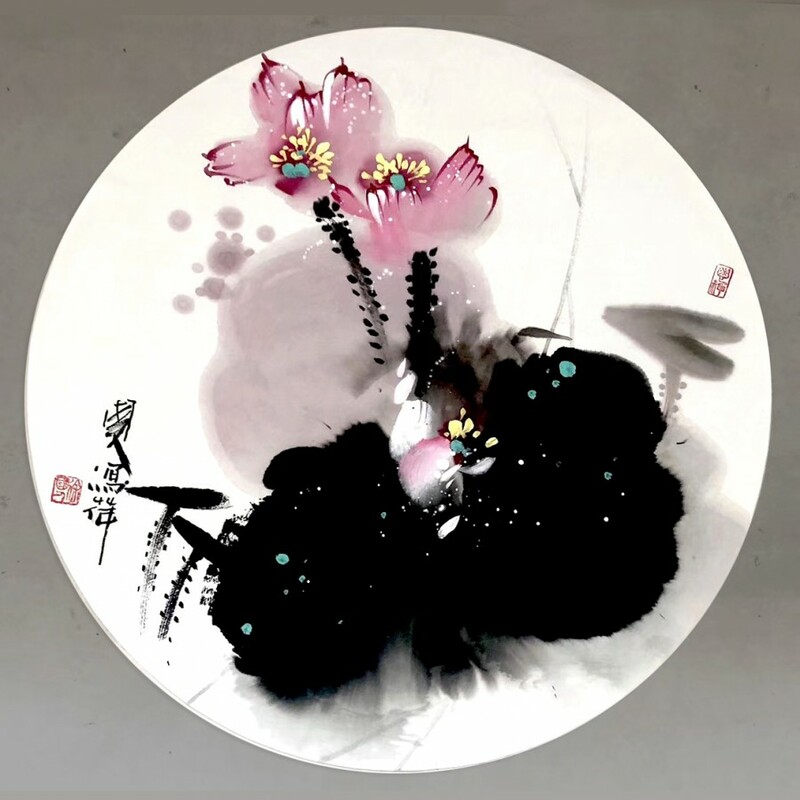 2* Chinese painting is one of the oldest continuous artistic traditions in the world. 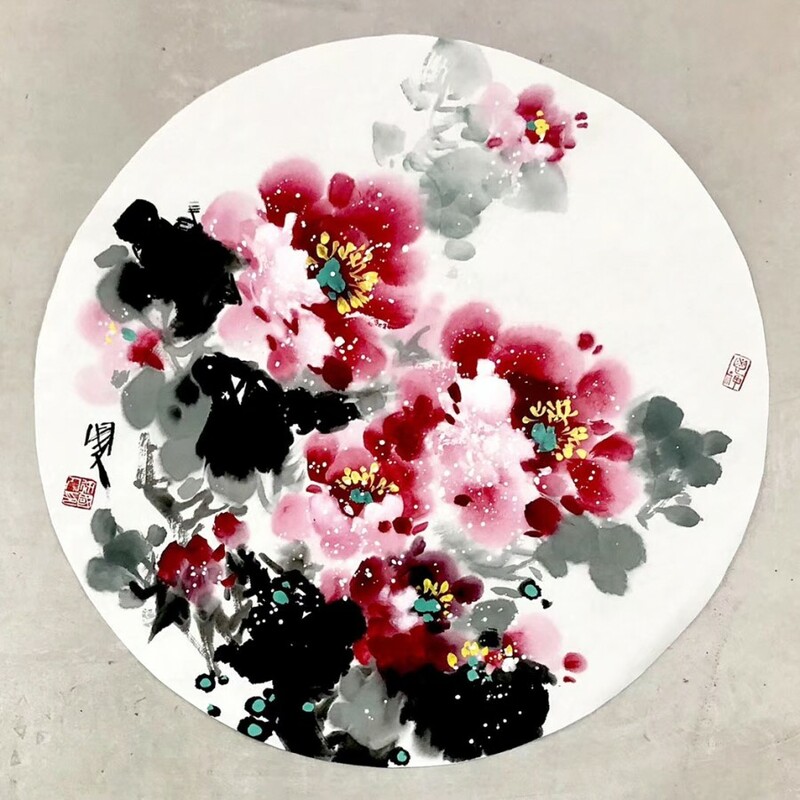 Painting in the traditional style is known today in Chinese as guóhuà , meaning 'national' or 'native painting', as opposed to Western styles of art which became popular in China in the 20th century. 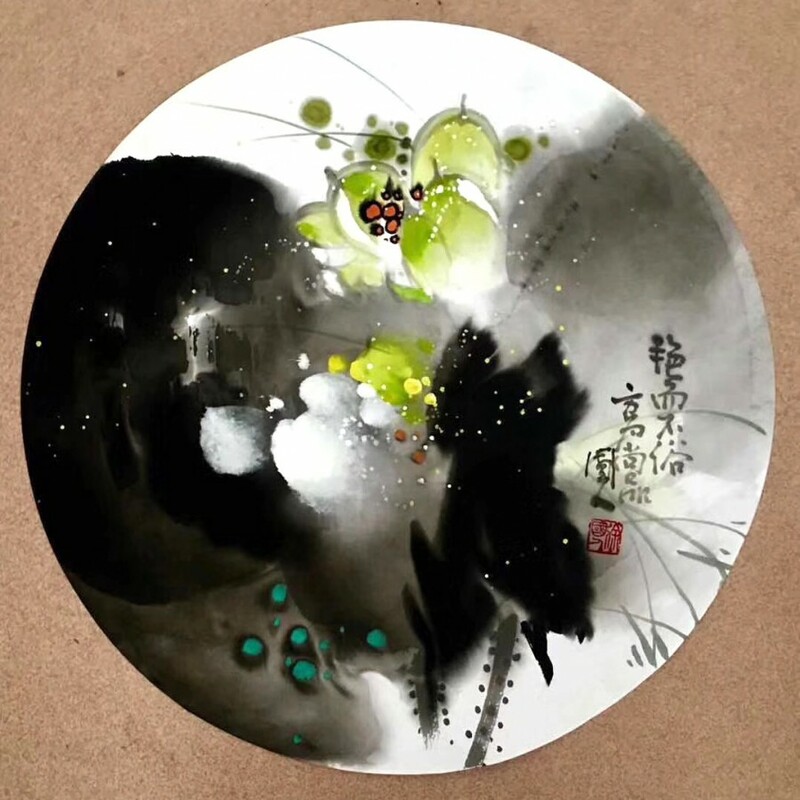 Traditional painting involves essentially the same techniques as calligraphy and is done with a brush dipped in black ink or coloured pigments; oils are not used. As with calligraphy, the most popular materials on which paintings are made are paper and silk. The finished work can be mounted on scrolls, such as hanging scrolls or handscrolls. 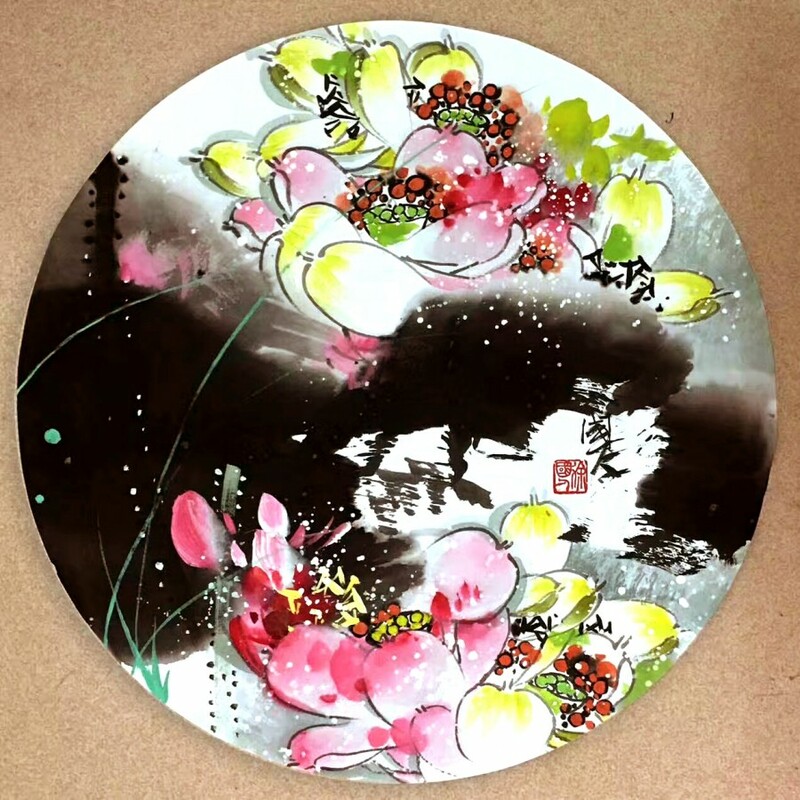 Traditional painting can also be done on album sheets, walls, lacquerware, folding screens, and other media.